Did you get everything your heart desires on Mother's Day? Perhaps there are still a few things on your list. bumbledoo would like to celebrate you and give you a second chance to have the Mother's Day gifts you always wanted! 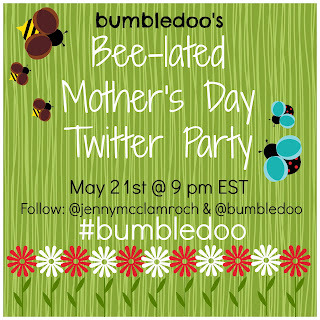 Join me, and bumbledoo, as we celebrate all the amazing mamas out there! 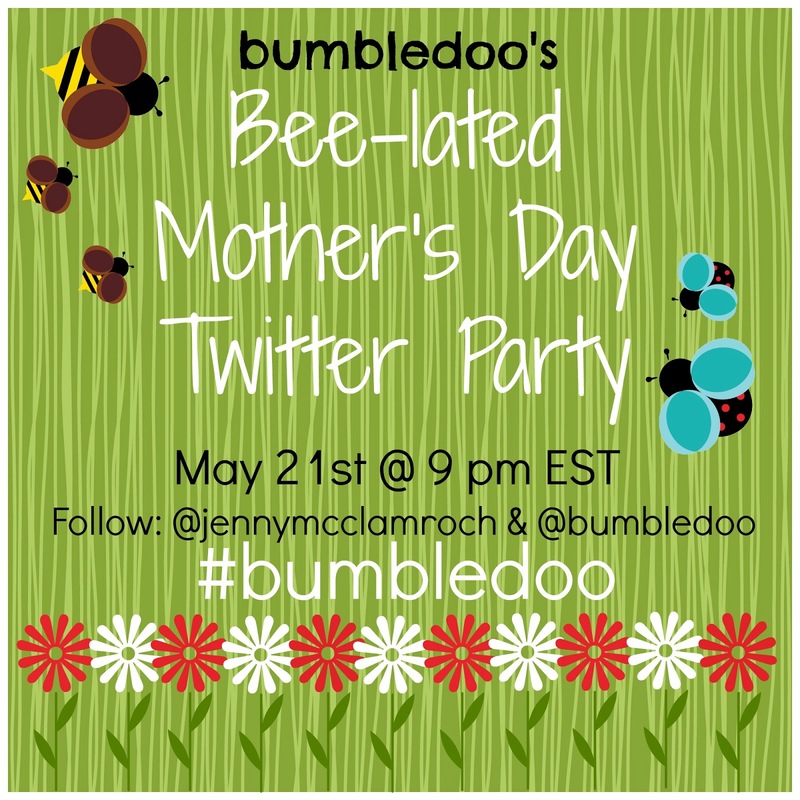 bumbledoo is sponsoring a Twitter party and I'll be hosting! You'll have the chance to learn more about bumbledoo, an awesome cloth diapering, baby wearing (and more!) boutique! Check out the details below and don't forget to RSVP! 1. You must RSVP below to be eligible for prizes. 2. You must tweet at least once during the party hour using the #bumbledoo hashtag. 3. Winners must be 18 years or older and residents of the US and Canada. All winners will be verified! RSVP below for your chance to win! bumbledoo is giving away over $500 in prizes to 16 lucky winners! SO SO EXCITED JENNY!!! I really think this is gonna be super awesome ! I don't understand how to rsvp? To RSVP enter on the Rafflecopter form above! Hi Julie! Just enter on the Rafflecopter form above. Also, be sure to tweet during the party hour using the #bumbledoo hashtag. Am I RSVPing by commenting here? i hope i do this right! my first twitter party!